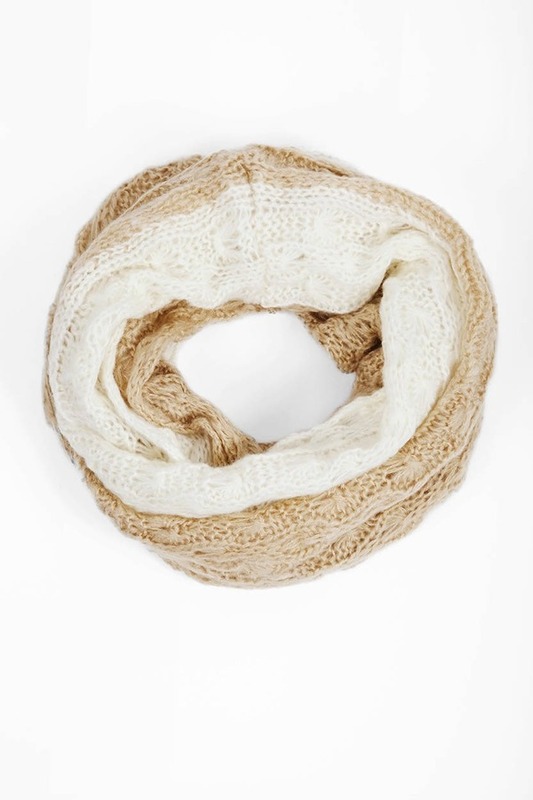 Check out Tobi's Ashbury Color Blocked Scarf We've got fresh knits headed your way. The Ashbury Color Blocked Toast Scarf is a knitted infinity scarf with thin, open stitch cables in color blocking with a long wrap around, stackable length. Perfect for chilly nights out on the town, wear this winter scarf with a plain tee and a lightweight cardigan to keep warm and chic. We've got fresh knits headed your way. The Ashbury Color Blocked Toast Scarf is a knitted infinity scarf with thin, open stitch cables in color blocking with a long wrap around, stackable length. Perfect for chilly nights out on the town, wear this winter scarf with a plain tee and a lightweight cardigan to keep warm and chic.